It’s 2:00 a.m. and I’m still awake. I’m so tired that I can’t stop yawning, and with each yawn, tears form—yet, sleep won’t come. The digital alarm clock teases me, its glow saying, “If you fall asleep now you’ll get four hours of sleep.” I try again and after tossing and turning for 30 minutes I decide to read for a while. Unable to focus, I turn on the TV. I begin to fall asleep with the TV humming in the background, so I turn it off and seconds later my eyes spring open. I force them close again, but to no avail, I am awake again dealing with yawn-induced tears. I sigh in frustration, give up for what may be the rest of the night and turn on my laptop to see if any of my fellow insomniacs are up. Not surprisingly, they are. With more than 30% of Americans suffering from insomnia, finding others awake at 3:00 a.m. is not a challenge; the Insomniac Club is always open. The insomniac club’s motto is misery loves company. We love to hate on people who say things like “I can sleep anywhere” and/or “I fall asleep the minute my head hits the pillow.” Though we complain about our lack of sleep, we also wear it as a badge of honor, claiming our high levels of creativity and intelligence as deterrents to reaching REM (Rapid Eye Movement), the deepest level of sleep. But it’s not a badge of honor. The benefits of more time awake to get more done aside, chronic insomnia is dangerous to our health. The physical alertness is decreased, affecting function. Thinking skills tend to slow down the processing of information so reaction is more often delayed. Ability to concentrate or focus on tasks at hand. Impairment of the immune system contributing to the risk of developing more chronic illnesses. Increased blood pressure, heart failure or heart attack. Further, sleeplessness can also increase the risk of stroke. Depression and other problems involving their psychological and emotional aspects. Sleeplessness can increase hunger in individuals. This can lead to weight gain which can also cause sleeping disorders in turn. Make your room colder since your body needs to cool down to fall asleep. Avoid hot baths prior to bed time. Exercise intensely during the day so that you reach physical exhaustion by bedtime. 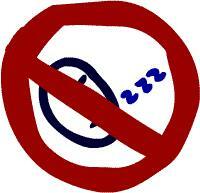 Don’t watch TV or browse online at least 30 minutes before bed, it is a mental stimuli. Create a bedtime ritual that will tell—after some practice— your body that it is time for bed. Block out all but white noise (a noise produced by a stimulus containing all of the audible frequencies of vibration). Keep pen and paper by your bed to jot down thoughts and move them from your mind. If these tips don’t help you give up your membership in the Insomniac Club, see your doctor.